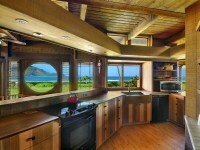 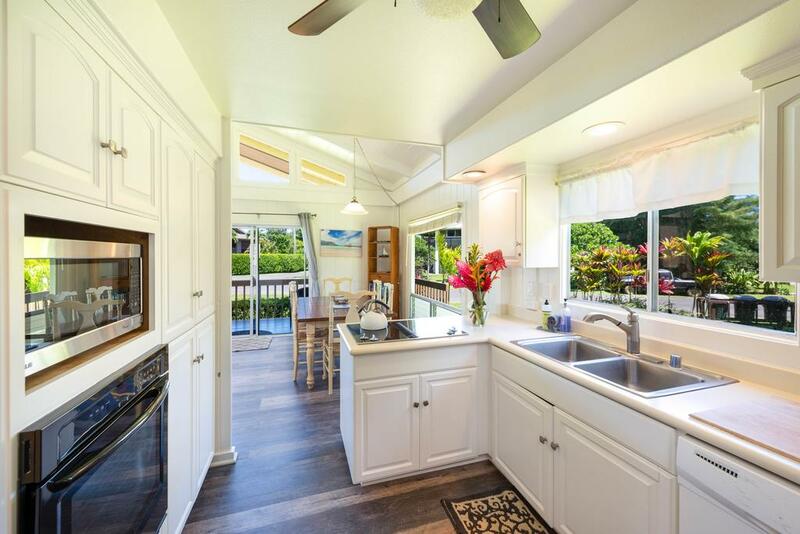 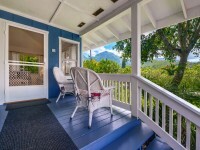 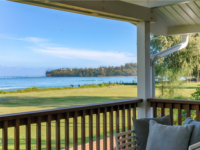 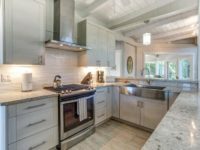 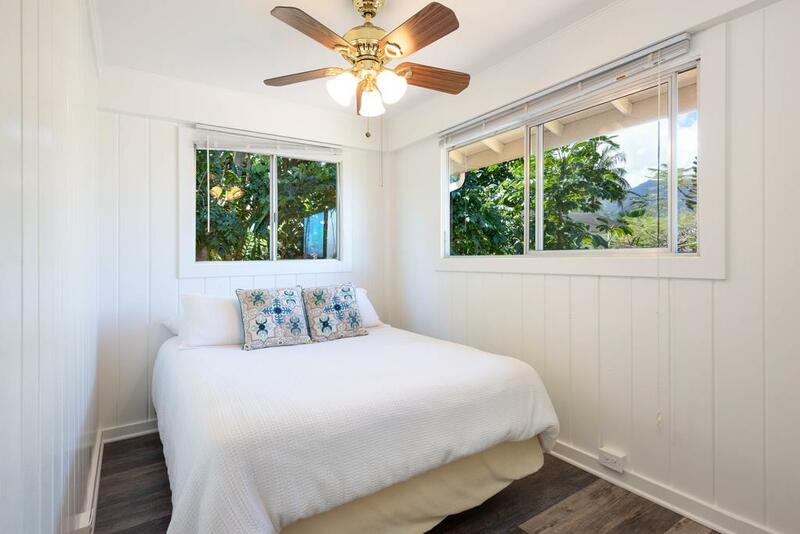 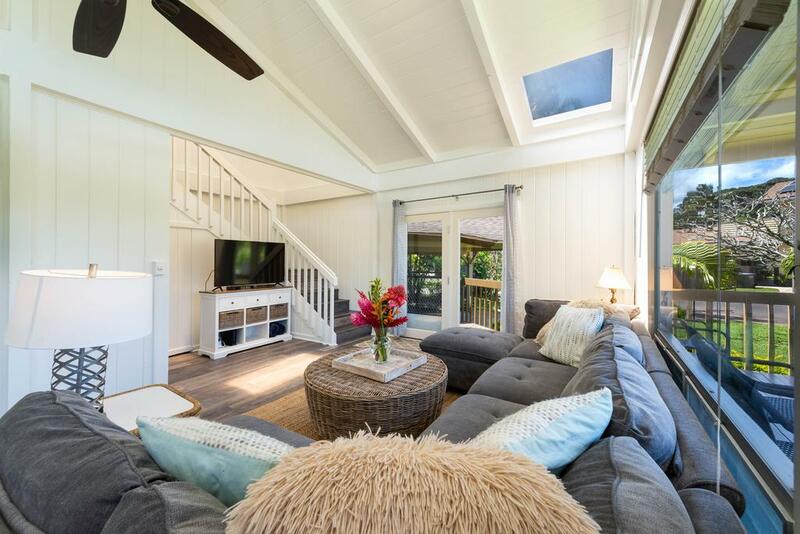 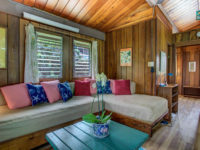 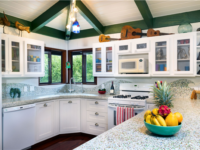 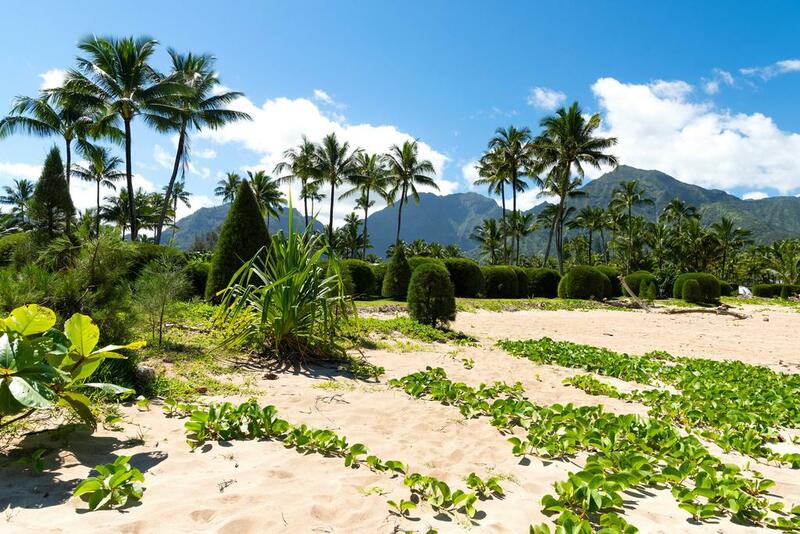 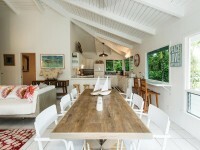 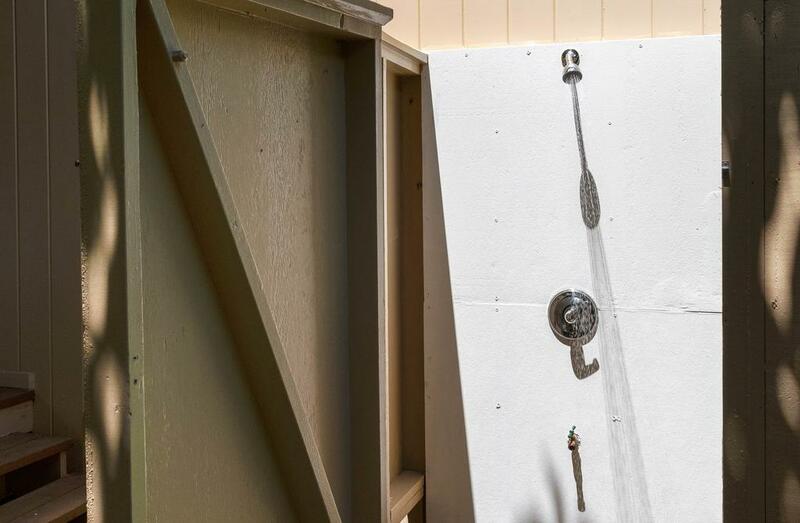 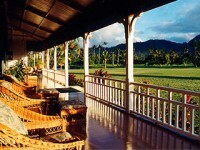 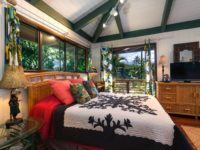 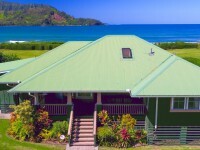 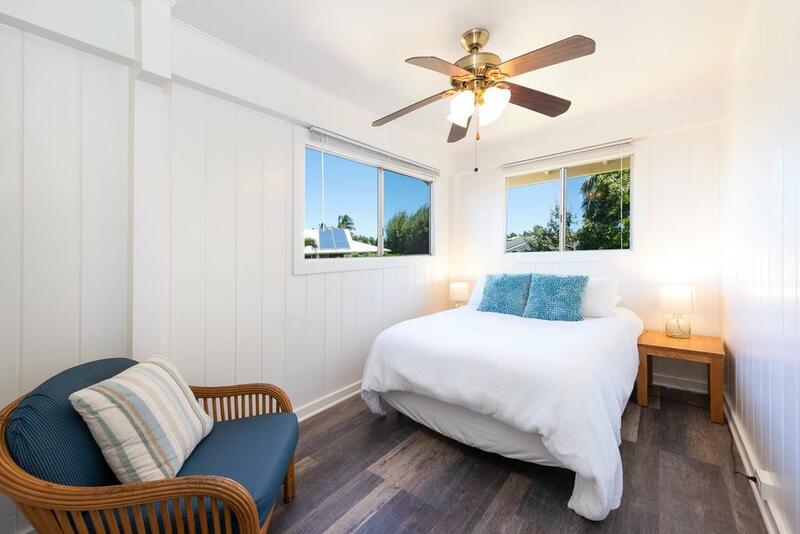 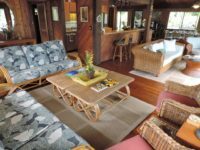 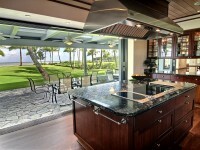 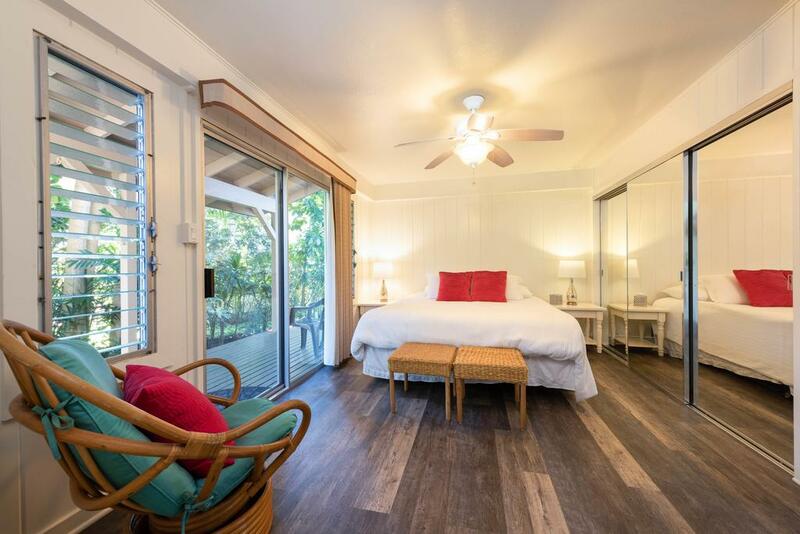 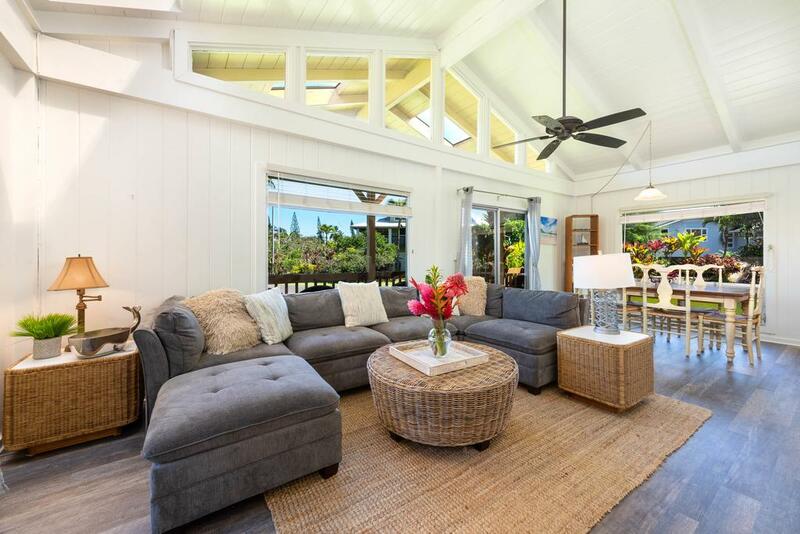 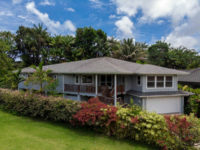 HANALEI, KAUAI VACATION RENTAL: Lanini Kai is the perfect home base for families looking to experience island-style living, where your only concern is where you left your sandals. 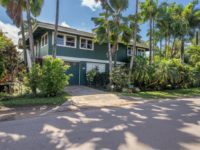 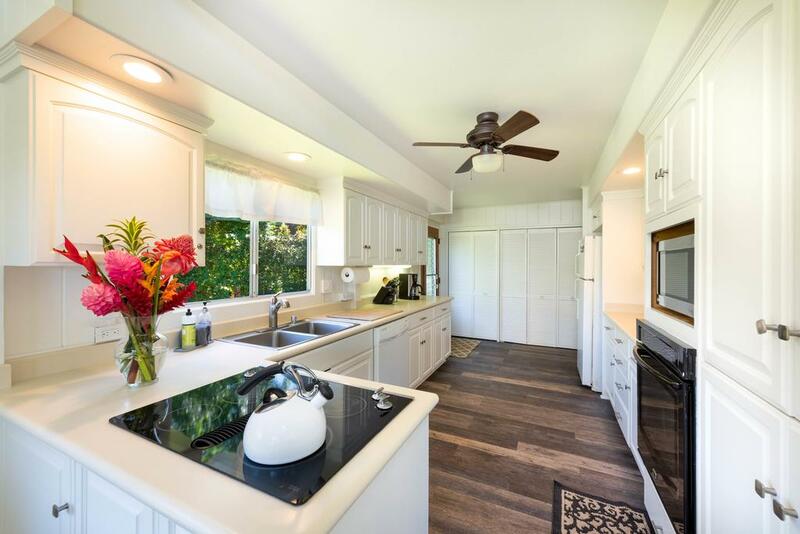 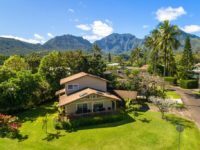 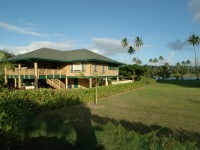 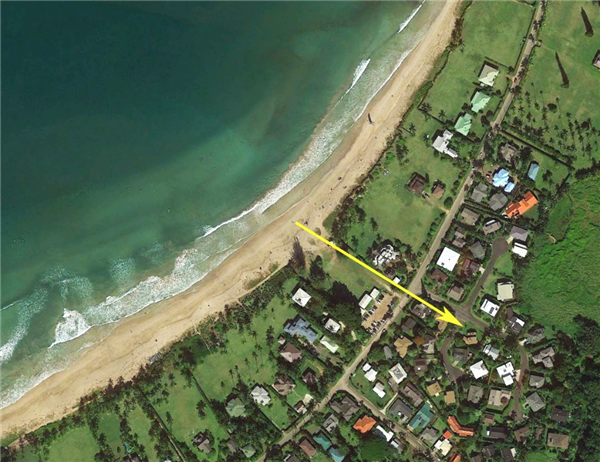 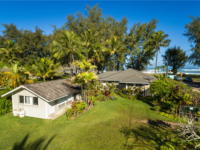 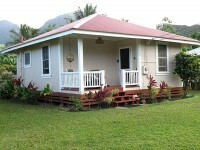 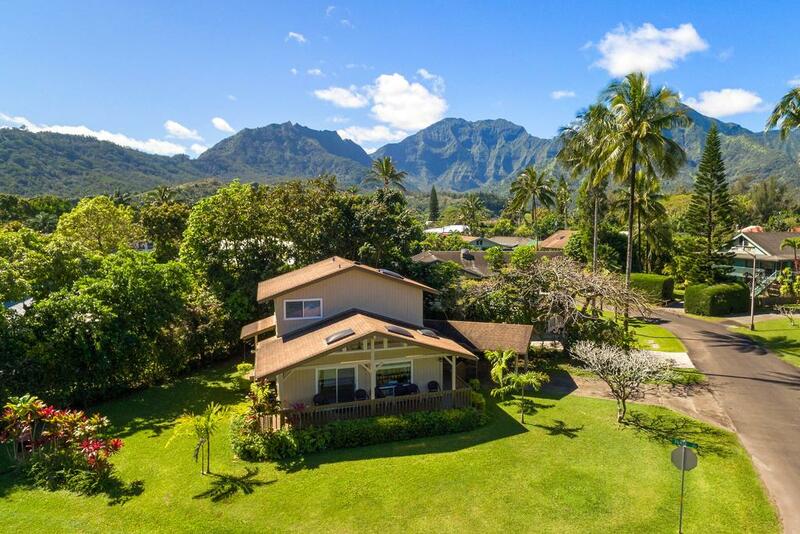 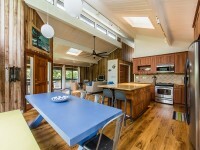 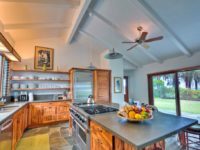 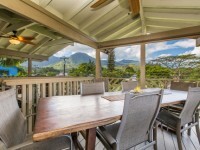 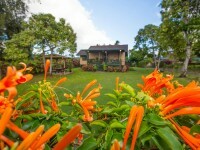 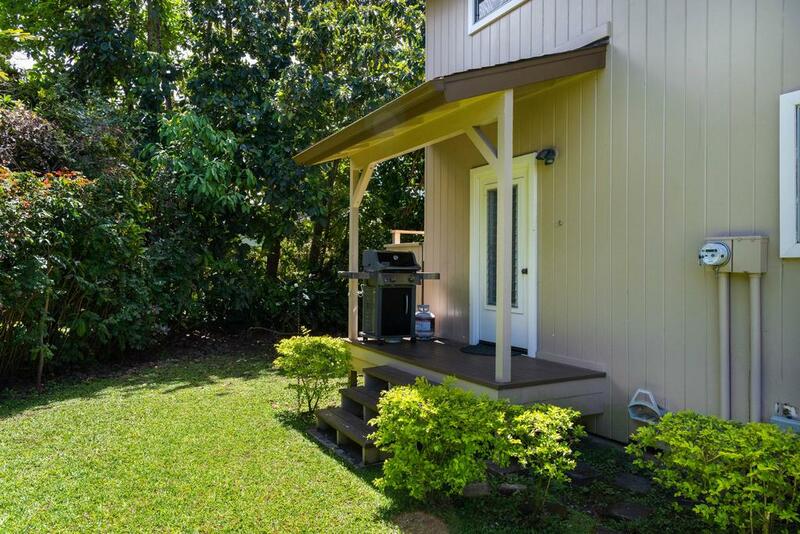 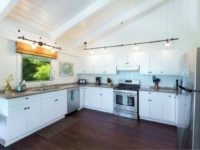 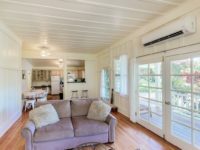 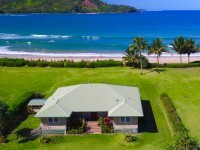 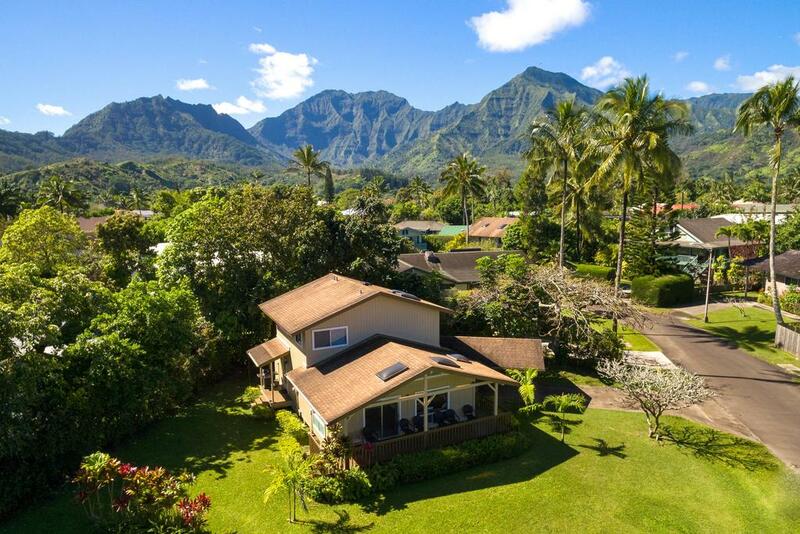 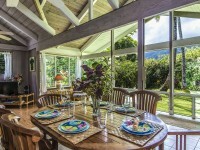 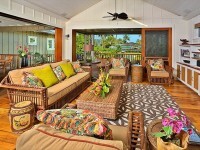 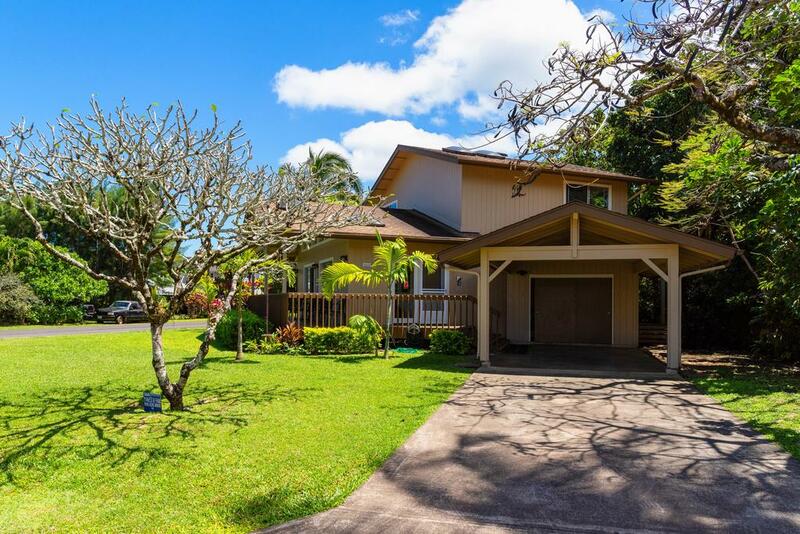 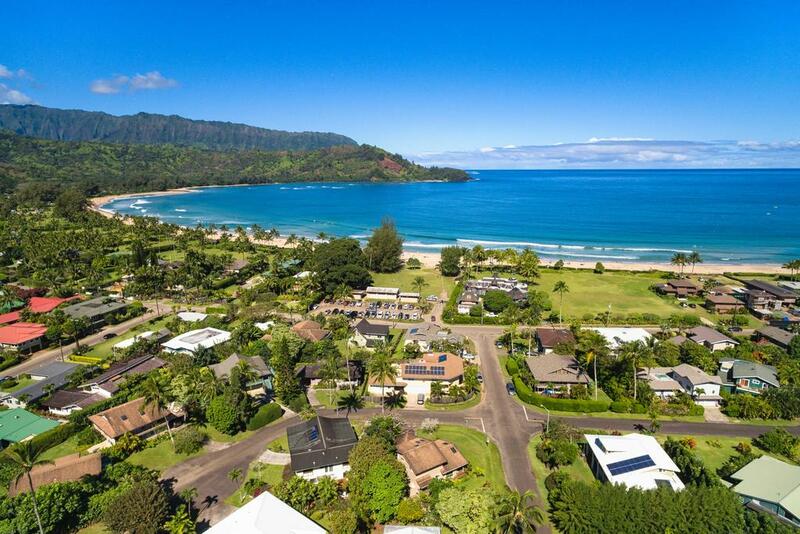 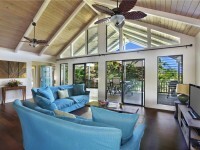 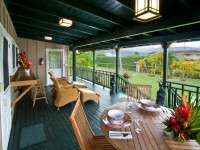 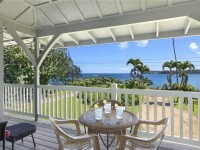 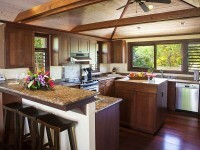 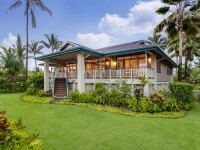 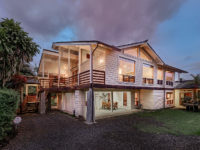 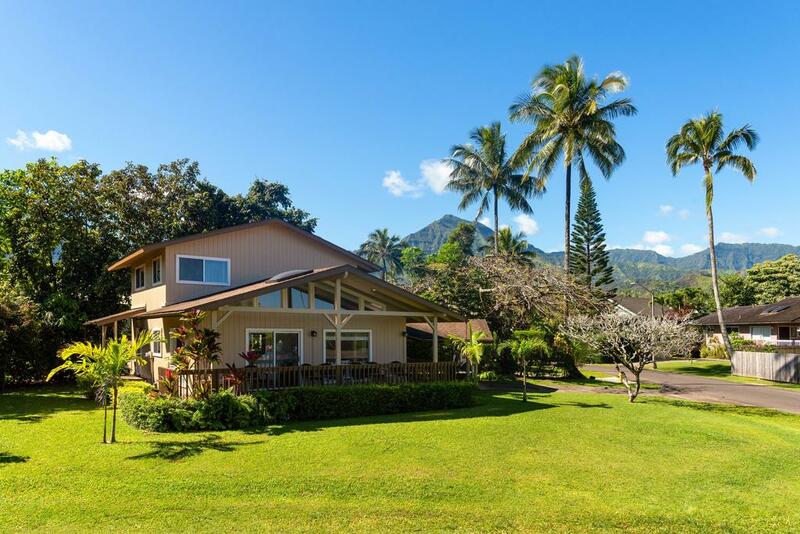 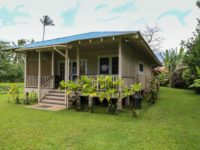 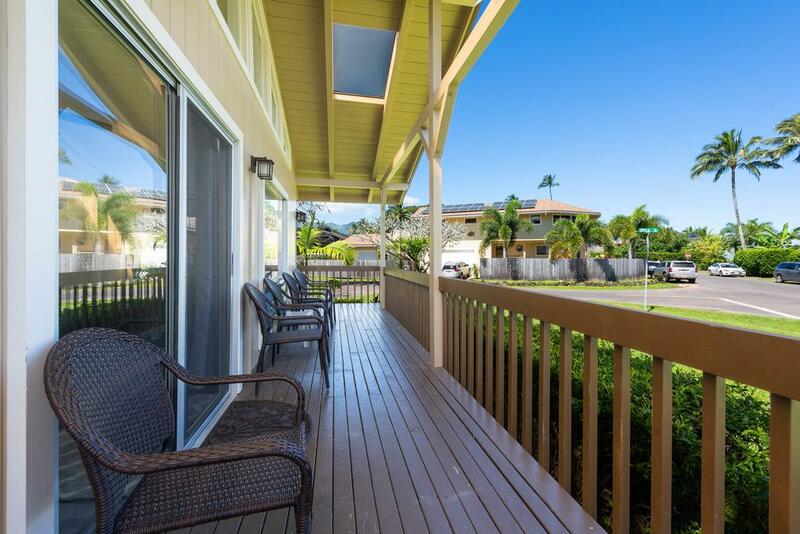 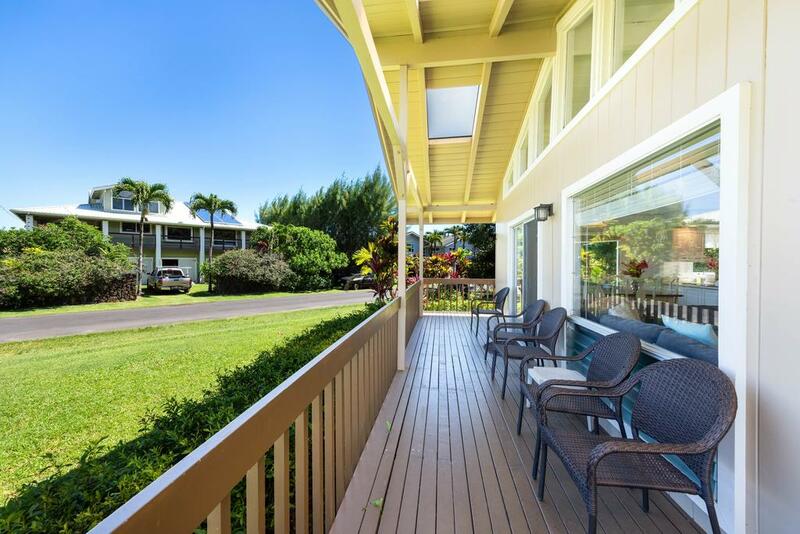 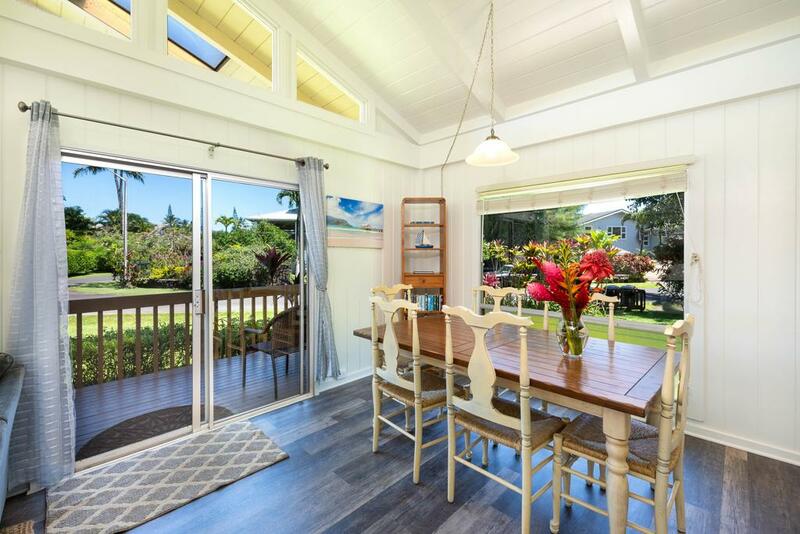 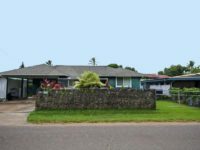 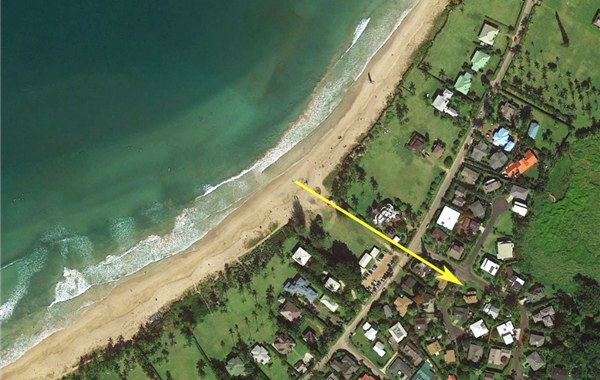 This four-bedroom home is a two-minute walk to the beach and a few more minutes walk to Hanalei Town. 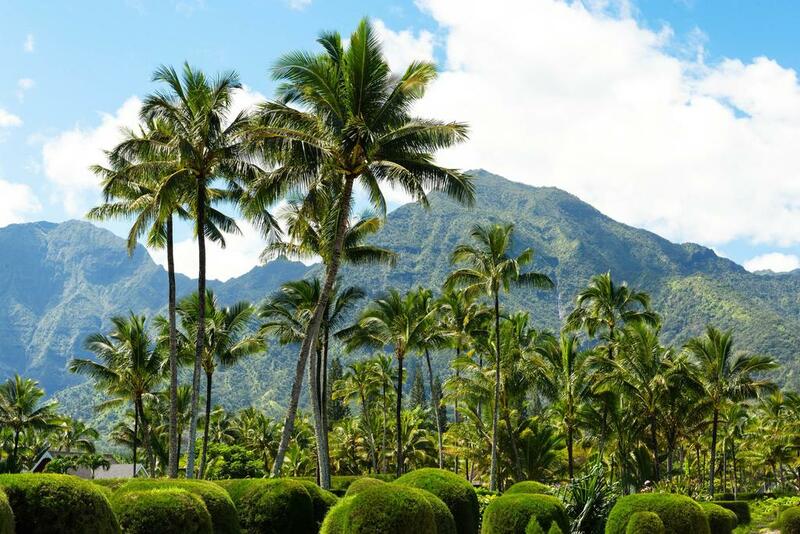 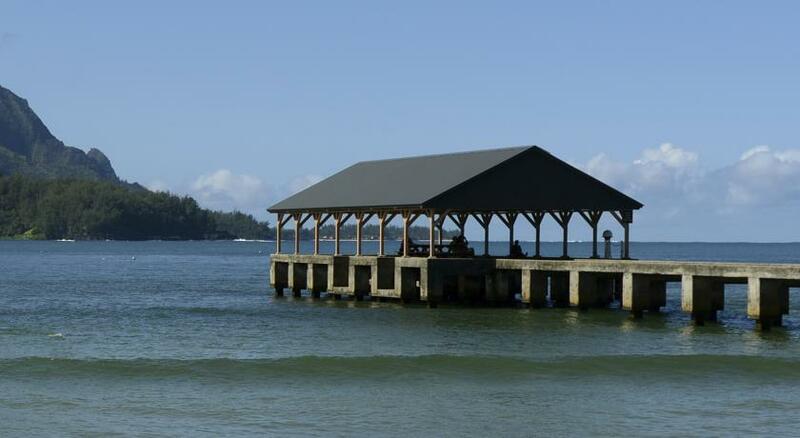 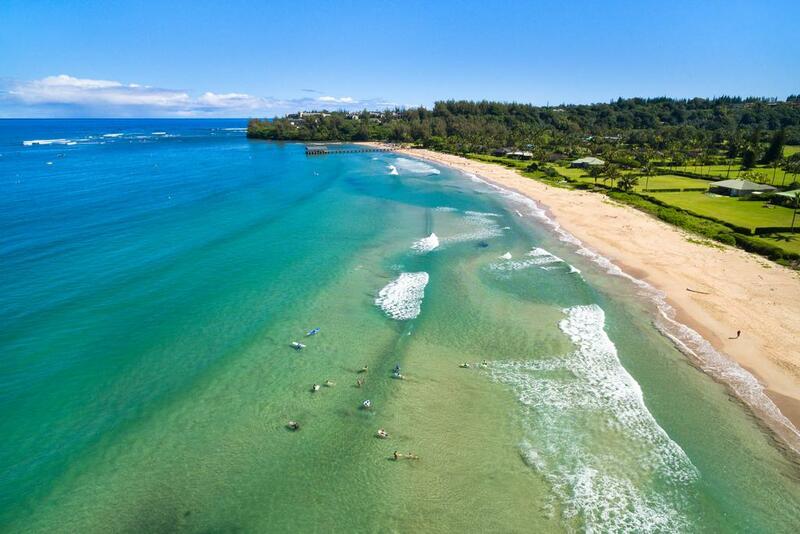 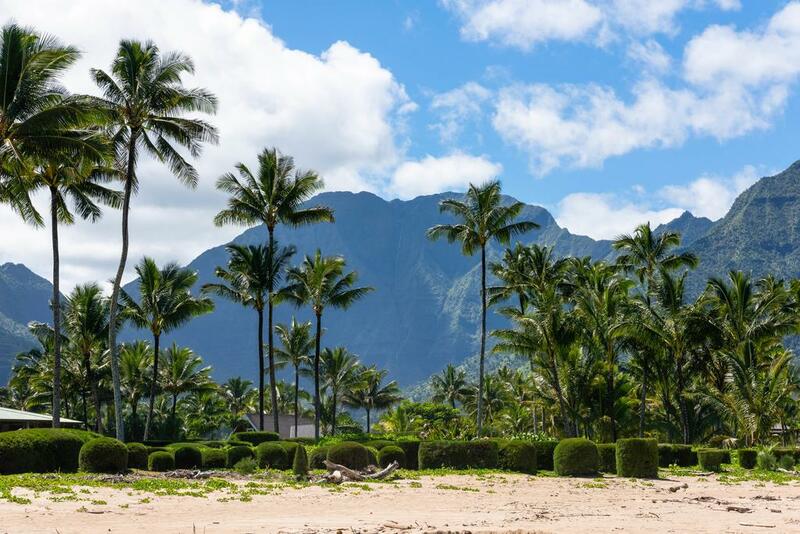 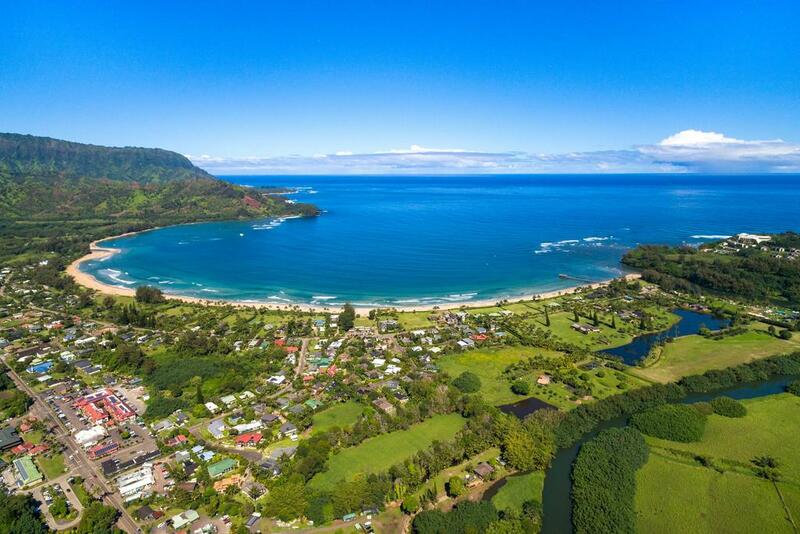 It’s ideal for those who want to spend the day by the bay and enjoy the shops, restaurants, and nightlife of Hanalei all in the same day. 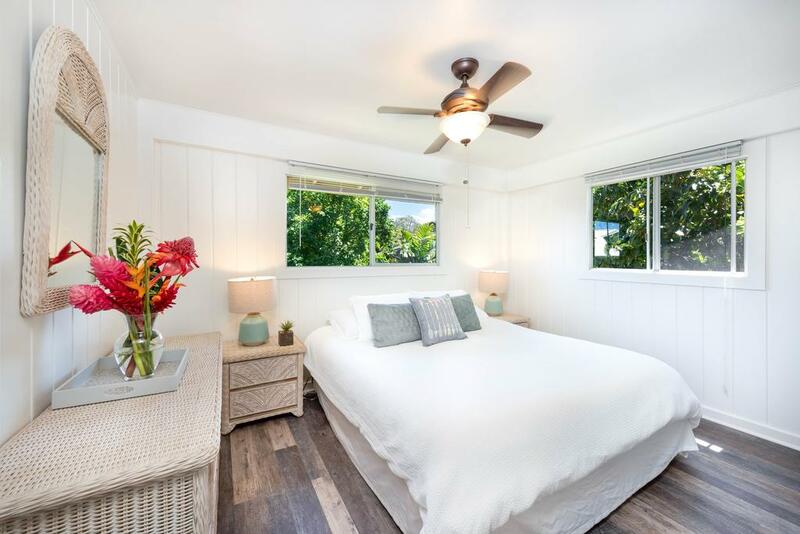 Four bedrooms and two full bathrooms provide ample space to comfortably sleep up to eight guests. 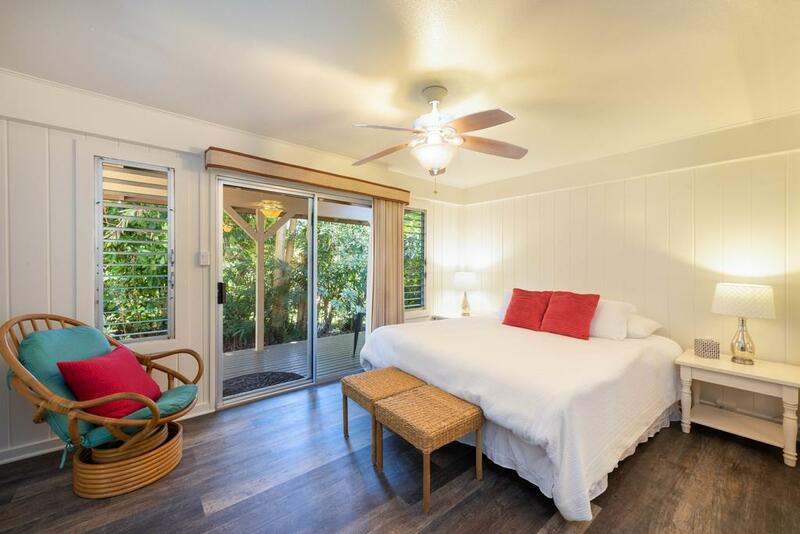 The master bedroom shares a bathroom with the living area and has its own lanai facing the shaded side of the property. 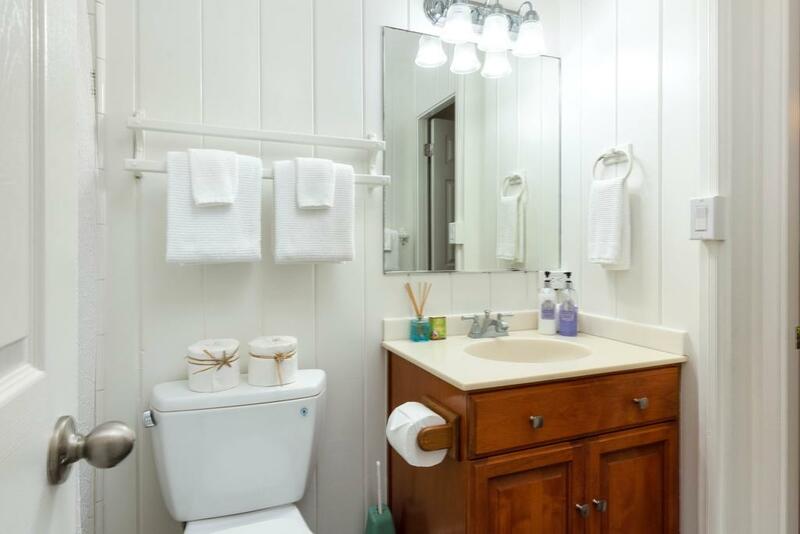 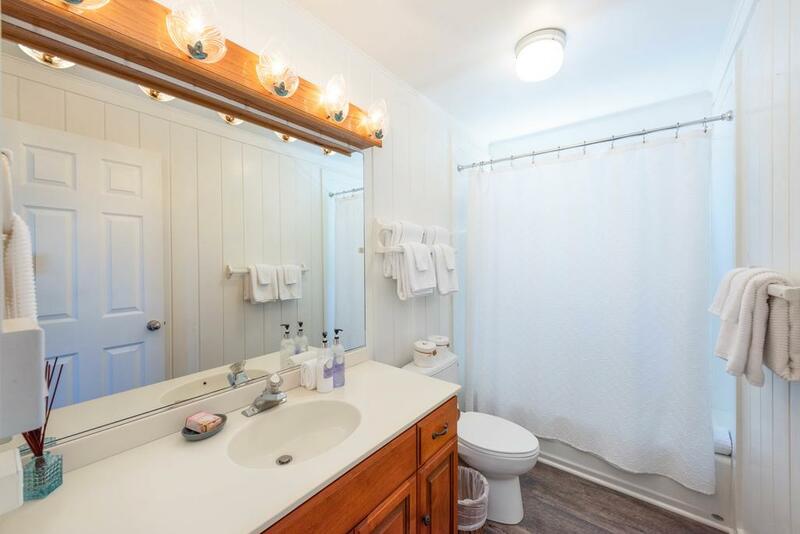 The other three bedrooms are upstairs with a shared bathroom in the hall. 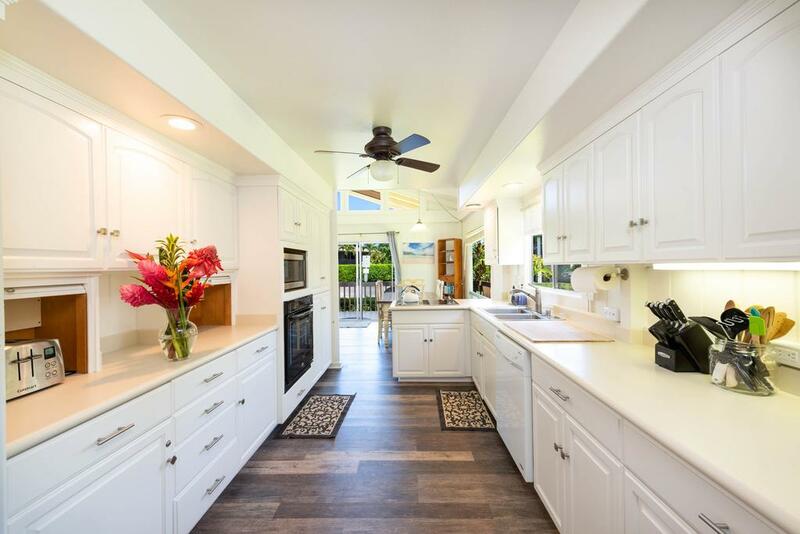 The open floor plan and cathedral ceilings allow the whole family to hang out together whether cooking, dining, or lounging. 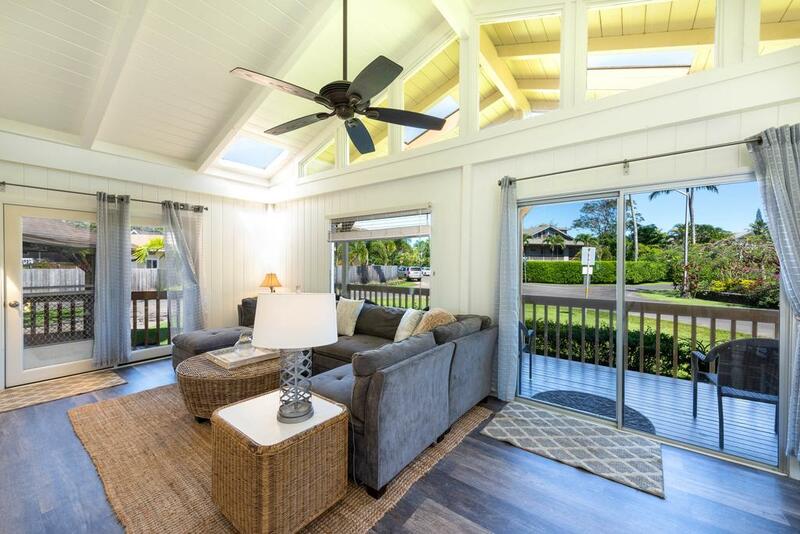 The living area boasts plenty of natural lighting with the floor to ceiling windows on the northwest wall, but for a little more sunshine you can lounge on the front facing lanai listening to the birds and the sounds of the gentle waves of the sea.